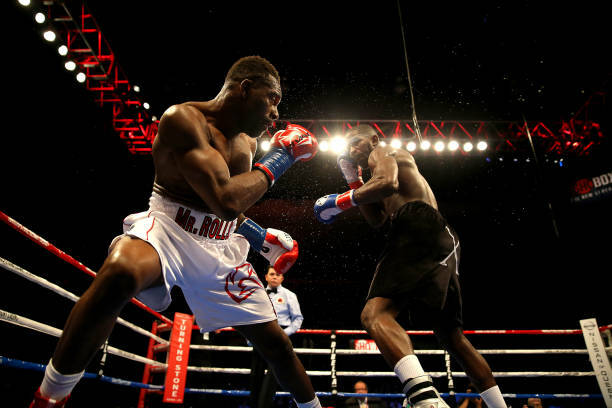 Next Saturday, boxing on ESPN returns with a Top Rank card from the 2300 Arena in Philadelphia, PA. Headlining the event is WBC light heavyweight champion Oleksandr Gvozdyk (16-0, 13 KO’s) making the first defense of his title against Doudou Ngumbu (38-8, 14 KO’s). 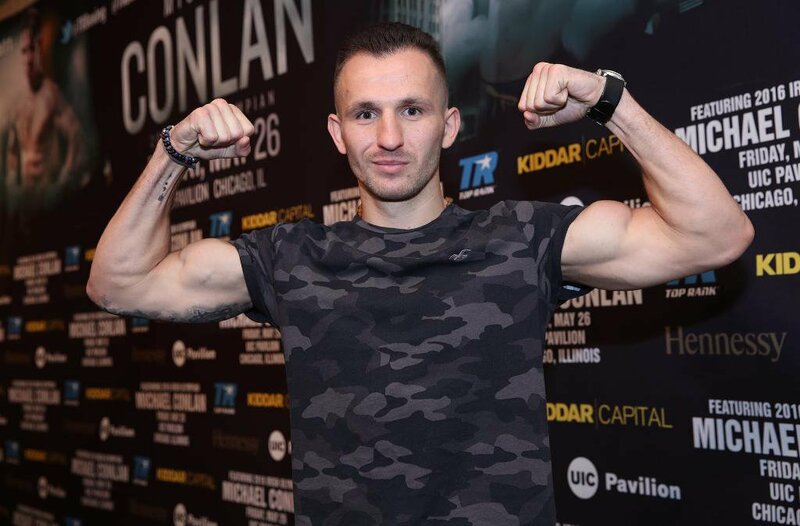 Flying somewhat under the radar is the televised co-feature, a scheduled 10-round welterweight contest between Egidijus Kavaliauskas (pictured) and Ray Robinson. I admit I have been on the Kavaliauskas bandwagon for some time. It was his raw power that first caught my eye. Adding to it, he possesses good boxing skills and will work behind a ramrod-like left jab. However, his career momentum as well as his development has dropped off in recent years. He will be 31 in three months and the time to move into bigger fights to live up to his massive potential is now. To do so, he must get by a tough veteran in Ray Robinson. 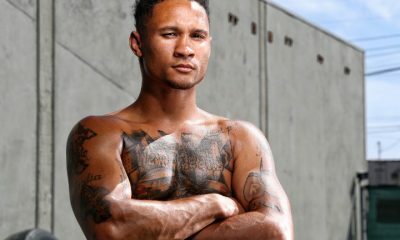 Robinson (24-3, 12 KO’s) is coming in off a knockout loss last February to another welterweight contender in Yordenis Ugas. Before that, Robinson had not lost since 2010 when he dropped a ten round decision to Shawn Porter. Robinson is a slick southpaw by trade. However, he will also fight as an orthodox fighter. 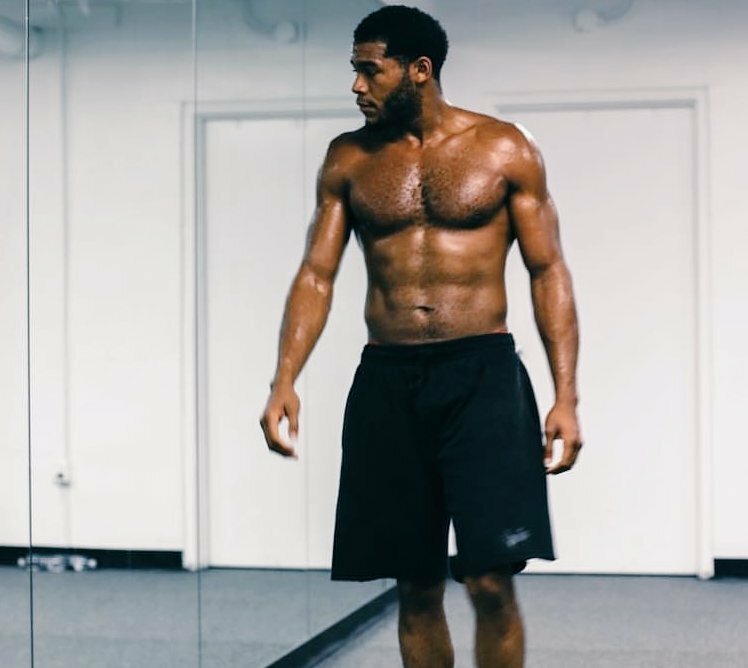 Regardless of the stance he fights from, Robinson will look to use his legs and work behind the jab. He has good hand speed and is a sharp, accurate puncher. Defensively he is not easy to hit clean. Why would Kavaliauskas’ team pick such a tough opponent given that he is seemingly on the verge of much bigger fights? The reason is simple. 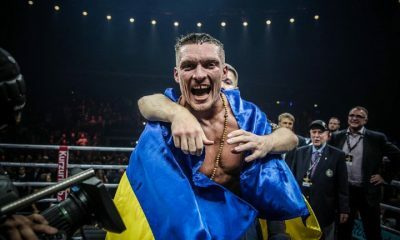 There is another Top Rank promoted welterweight who also fights interchangeably as a southpaw and orthodox fighter whom Kavaliauskas is being groomed to fight. 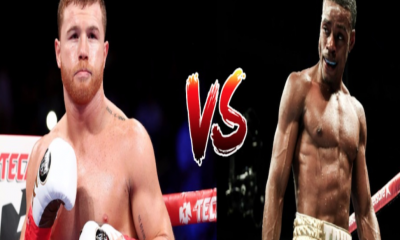 If he looks good against Ray Robinson, he would not only prove he is a worthy challenger to Terence Crawford but that would also begin the drum beating for that fight. In my opinion, Kavaliauskas-Robinson is a very fascinating fight. Not only is it an interesting stylistic matchup, but there are plenty of stakes on the line. On Sunday in Kazakhstan, 154-pound prospect Sadriddin Akhmedov (8-0, 7 KO’s) delivered another impressive performance with a wide 10-round unanimous decision over John Ruba (17-6-1, 9 KO’s). Akhmedov, who recently turned 21, has impressive amateur credentials having reportedly won more than 200 fights in the unpaid ranks and earning numerous accolades in his native Kazakhstan. He turned pro last April in Canada and has kept up a very brisk pace in his career to date. Akhmedov’s deep amateur background has furnished him with solid fundamentals. Akhmedov works behind a thudding left jab, has excellent timing and is a very good natural counterpuncher. Defensively he is already very sound and exhibits excellent head movement. But what really stands out about Akhmedov is his devastating power. He has ferocious, heavy handed power in both fists, the kind of power not seen often in this sport. So if Akhmedov has such devastating power why didn’t he knock out Ruba? 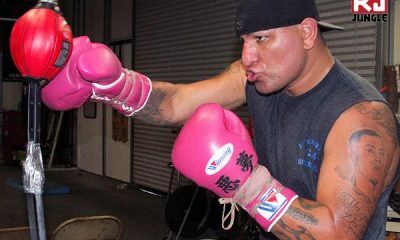 Well Ruba is a defensive minded fighter with a sturdy chin who had only been stopped once in his career. Against Akhmedov, Ruba kept a very tight guard for ten rounds and rarely opened up in fear of what would be coming back at him. Akhmedov showed patience and maturity against Ruba. 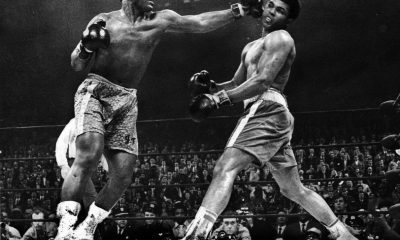 He boxed well behind a powerful left jab and picked his spots. For the most part, he avoided getting hit clean. In particular, Akhmedov did an excellent job beating the rib cage of Ruba throughout the fight. Akhmedov also showed he can carry his power late as he did manage to get through Ruba’s tight guard in the later rounds and hurt him on a few occasions. 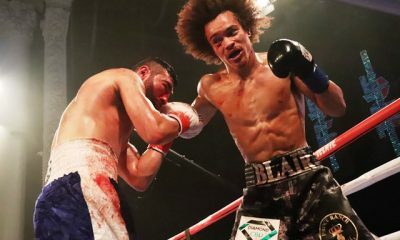 Despite not getting the knockout, Akhmedov put on a good display of overall boxing skills in going the distance for the first time in his young career. If you have not yet seen Akhmedov fight, I encourage you to check him out. 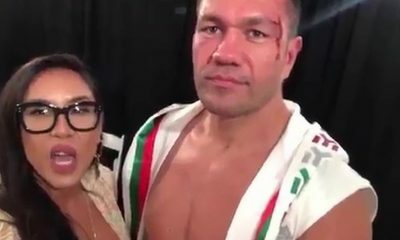 He could very well be the next great fighter to come out of Kazakhstan. As we all know, how we watch boxing in 2019 is much different from, say, how we watched boxing in 2009. 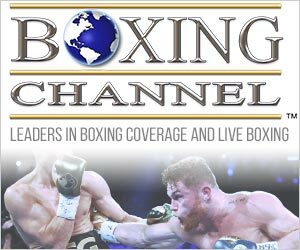 Online streaming services such as DAZN and ESPN+ have entered the fray and given fans access to more events than ever before in the history of the sport. 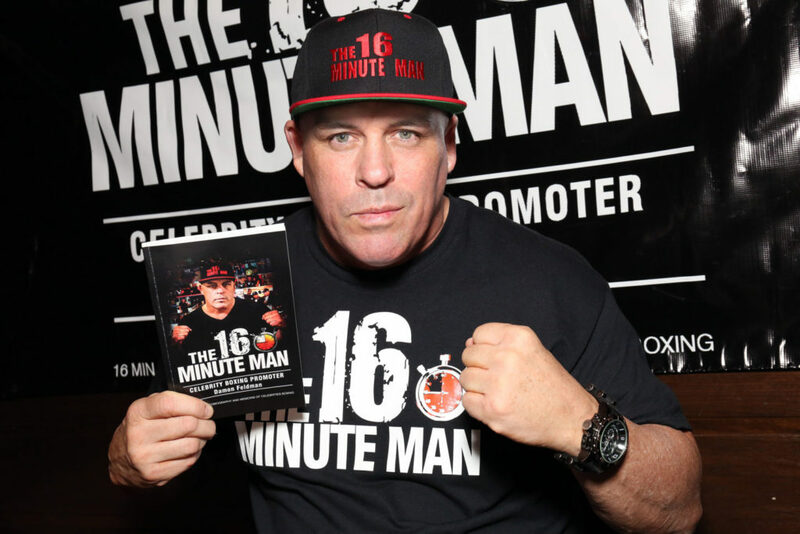 Despite changes, the pay-per-view model still exists and it is not going away. However, with fans demanding more bang for their buck, one big change could be on the horizon. Before I delve more into this, there is something about the current pay-per-view system that promoters did not often publicly acknowledge and that is the issue of illegally streaming. It happens and with a little effort fans can find a way to watch a pay-per-view fight through a stream without having to pay for it. Illegal streams can be choppy, unreliable and just crash, but many yet find it worth the trouble to seek out an illegal stream to save a few bucks. We don’t know what the numbers are for pay-per-view fights, but the illegal streams unquestionably eat into a significant portion of the revenue for the event. It is a problem. So how do promoters combat this? Well it is not easy to police, but if promoters give fans more value I am certain there will be less piracy. And promoters can do this by simply making more attractive undercard fights. If promoters give fans more for their money, mark my words that will sway many would-be illegal streamers into just buying the event. For one big fight, many find it worth the trouble to rummage around in hopes of finding a stream to save a few bucks. 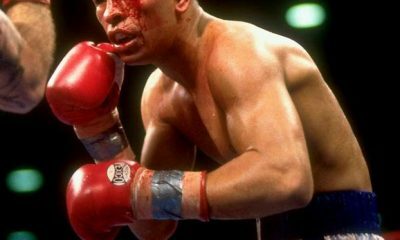 But for several good fights with one excellent main event, many will inevitably purchase the pay-per-view, choosing not to mess with the frustration. It is about value. Don’t believe me? Look at some recent Top Rank pay-per-view undercards. Remember the one in October of 2013 for Bradley-Marquez? It was horrible. Now look at the undercard for Crawford-Khan in April. It is tremendous with several highly attractive fights. My point here is that Top Rank clearly sees value in putting together a good pay-per-view undercard where in the past they did not. Yes, the undercard for Spence-Garcia was terrible. And I think it cost the organizers despite the relatively solid numbers. I also think they will learn from this oversight and we can expect stronger undercards in the future that will feature some very big fights in support of the main attraction.